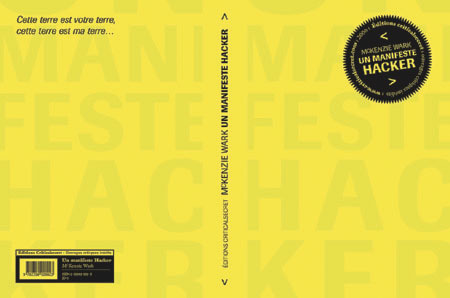 Some facts about the reception of A Hacker Manifesto, the book of Mc Kenzie Wark, in France. Cahier Critique de Poésie has published my review of the book in his 14 issue, October 2007. Marseille, for a three days meeting around “Hacker Culture, Free Culture”. You will find here my paper for the first meeting, as well as the article in CCP.